Apple is in the processing of recalling all Beats Pill XL speakers – if you've got a set you can now return them to Apple for a full refund. We recommend you do it as well, as there have been cases where the speakers overheat causing a serious fire risk. Apple admits in its statement it's only in rare cases but it's probably not worth the risk. The speakers were announced by Beats in November 2013, before Apple's buyout of the audio firm in 2014. If you've got a set you can find out how to recall them here and decide whether you want Apple Store credit or to receive an electronic payment of £215. 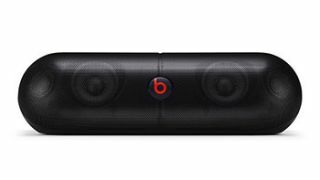 If you've got a speaker and you're unsure what set you've got it's got the Beats "b" logo on the speaker grille with the words "beats pill XL" along the handle. It's in the picture just above.